Let’s take a deeper look into the challenges that safety professionals face when trying to define success and outline best practices to help you demonstrate the value of the companies’ safety programs and initiatives. Every safety department faces the same challenge of figuring out how to measure their positive impacts. Oftentimes, safety teams are viewed as a cost of doing business with no tangible value, but we all know that’s not the case. Safety incidents can be costly and impact the company’s bottom line if the public loses trust in the company. While injuries, illnesses, absences, and accidents are visible, and the negative effects of an unsafe environment are readily apparent to anyone in the company, it’s what safety professionals do behind the scenes to prevent these things from happening that often gets overlooked. Define the scope: Work collaboratively – involve employees and managers to define the purpose of the program, the main questions, identify available resources, establish goals for the project, and specify a deadline. Choose your evaluation criteria: As already discussed, you need to determine what the goals are and how you are going to measure the program’s impact. Consider giving a higher weighting to certain outcomes. Be careful not to make data collection too onerous, think about scalability – this group may have buy-in but will everyone else? It’s important that you understand what it is you are going to measure. Questions you should ask yourself and others, “Does the program lean towards being measured in a certain way?” and “Will the results be statistically valid?”. Asking these sorts of questions will help ensure that you aren’t overlooking things when you are analyzing the results. At the end of a project, you want to be able to see whether the program as designed is suitable for a wider application in the organization. If something in the data indicates that the design of the program should be changed – test it again. Don’t look at the data and see a positive effect and be lulled into thinking that the positive effect will surely be replicated in the rest of the company. If there are indications that something might not be right, drill down into it and think about ways to improve the program design. This is the whole point of continuous improvement. Hopefully, it is clear by now that there is no silver bullet when it comes to proving the value of safety programs and initiatives. Every organization has different priorities, so there is no standard definition of ‘value’ that is consistent across industries. It’s because of these shifting priorities that we have such an abundance and variety of tools available to us to plan and construct a safety program. 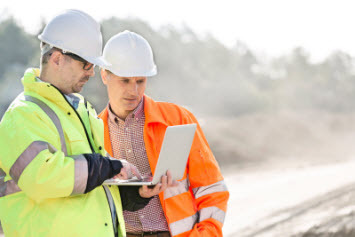 We invite you to learn more about Cority’s safety and business intelligence solutions that can help you track, manage and measure your programs. Ian Cohen, MS, is the Product Marketing Manager responsible for Cority’s environmental and safety solutions. Before taking this role, Cohen was Cority’s Environmental Product Manager, where he was responsible for developing Cority’s environmental compliance and data management solutions. 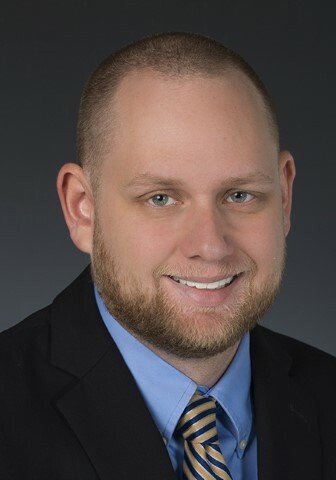 Before joining Cority, Cohen was an environmental specialist at Florida Power & Light Company, a NextEra Energy, Inc., company, where he led the development, implementation, and management of various environmental management systems and programs. He is well versed in the development of enterprise environmental management information systems and is a subject matter expert in corporate sustainability, including program development, annual reporting, and stakeholder communications. He has earned a Bachelor of Science degree in Biology and a Master of Science in Environmental Science, both from The University of Tennessee at Chattanooga.